The Arctic is changing fast, and the Arctic Council recently commissioned the Arctic Monitoring and Assessment Programme (AMAP) to write two new reports on the state of the Arctic cryosphere (snow, water, and ice) and how the people and the ecosystems in the Arctic can live with these changes. The two reports have now just been published and are called Snow Water Ice and Permafrost in the Arctic Update (SWIPA-update) and Adaptive Actions for a Changing Arctic (AACA). Distortion? False information? Conspiracy theories? Hacked email? Climate scientists have known all this for decades. What can be learned from their rich experience with climate propaganda. The world is slowly waking up. “Post-truth” was declared the word of the year 2016 by the Oxford Dictionaries. Finally, people start to widely appreciate how dangerous the epidemic of fake news is for democracy. Stir up hate, destroy discourse, make insane claims until no one can distinguish the most bizarre absurdity from the truth any more. Thus the Austrian author Robert Misik aptly describes the strategy of right-wing populists. Another climate report is out – what’s new? Many of the previous reports have presented updated status on the climate and familiar topics such as temperature, precipitation, ice, snow, wind, and storm activities. The latest report Climate change, impacts and vulnerability in Europe 2016 from the European Environment Agency (EEA) also includes an assessment of hail, a weather phenomenon that is often associated with lightening (a previous report from EASAC from 2013 also covers hail). Despite improvements in data availability, trends and projections of hail events are still uncertain. The Norwegian Meteorological institute has celebrated its 150th anniversary this year. It was founded to provide weather data and tentative warnings to farmers, sailors, and fishermen. The inception of Norwegian climatology in the mid-1800s started with studies of geographical climatic variations to adapt important infrastructure to the ambient climate. The purpose of the meteorology and climatology was to protect lives and properties. There is an interesting news article ($) in Science this week by Paul Voosen on the increasing amount of transparency on climate model tuning. (Full disclosure, I spoke to him a couple of times for this article and I’m working on tuning description paper for the US climate modeling centers). The main points of the article are worth highlighting here, even if a few of the characterizations are slightly off. What is new in European climate research? 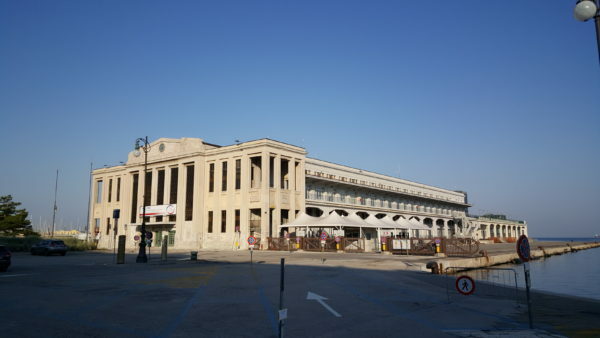 What did I learn from the 2016 annual European Meteorological Society (EMS) conference that last week was hosted in Trieste (Italy)? While 2016 is on track to easily surpass 2015 as the warmest year on record, some headlines, in otherwise prestigious news outlets, are still claiming that “2015 Was Not Even Close To Hottest Year On Record” (Forbes, Jan 2016) or that the “Planet is not overheating…” (The Times of London, Feb 2016). Media misrepresentation confuses the public and prevents our policy makers from developing a well-informed perspective, and making evidence-based decisions. This is precisely what a new project called Climate Feedback is doing: giving hundreds of scientists around the world the opportunity to not only challenge unscientific reporting of climate change, but also to highlight and support accurate science journalism. Do regional climate models add value compared to global models? Global climate models (GCM) are designed to simulate earth’s climate over the entire planet, but they have a limitation when it comes to describing local details due to heavy computational demands. There is a nice TED talk by Gavin that explains how climate models work. We need to apply downscaling to compute the local details. Downscaling may be done through empirical-statistical downscaling (ESD) or regional climate models (RCMs) with a much finer grid. Both take the crude (low-resolution) solution provided by the GCMs and include finer topographical details (boundary conditions) to calculate more detailed information. However, does more details translate to a better representation of the world? 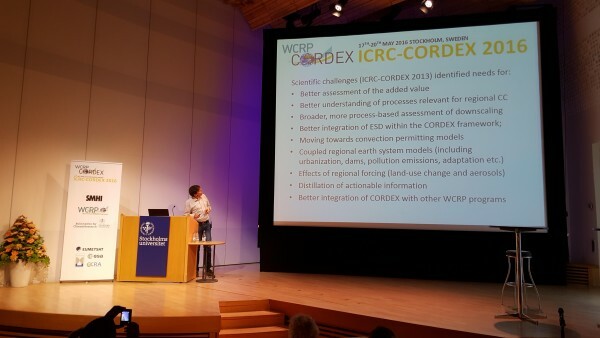 The question of “added value” was an important topic at the International Conference on Regional Climate conference hosted by CORDEX of the World Climate Research Programme (WCRP). The take-home message was mixed on whether RCMs provide a better description of local climatic conditions than the coarser GCMs. This morning I was doing my standard reading of the New York Times, which is generally on the good side with climate reporting, and saw the same old thing: an article about a potential solution, which just got the story wrong, at least incomplete. The particular article was about new technologies for converting CO2 into liquid fuels. These could be important if they are coupled with air capture of CO2, and if the energy that fuels them is renewable: this could be the only realistic way of producing large quantities of liquid fuel with no net CO2 emissions, large enough (for example) to supply the aviation sector. But the article suggested that this technology could make coal-fired power plants sustainable, because it would recycle the carbon. Of course that is wrong: to achieve the 2°C target we need to reduce the carbon intensity of the energy system by 100% in about 50 years, and yet the absolute best that a one-time recycling of carbon can do is to reduce the carbon intensity of the associated systems by 50%. The fact is, there is a huge amount of uncritical, often misleading media coverage of the technological pathways and government policies for climate mitigation. As with the above story, the most common are those suggesting that approaches that result in a marginal reduction of emissions will solve the problem, and fail to ask whether those approaches also help us on the pathway towards 100% emissions reduction, or whether they take us down a dead-end that stops well short of 100%. There are also countless articles suggesting that the one key policy instrument that we need to solve the problem is a carbon tax or cap-and-trade market. We know, from two decades of social-science research, that these instruments do work to bring about marginal reductions in emissions, largely by stimulating improvements in efficiency. We also know that, at least so far, they have done virtually nothing to stimulate investment in the more sweeping changes in energy infrastructure that are needed to eliminate reliance on fossil fuels as the backbone of our system, and hence reduce emissions by 100%. We also know that other policy instruments have worked to stimulate these kinds of changes, at least to a limited extent. One thing we don’t know is what combination of policies could work to bring about the changes fast enough in the future. That is why this is an area of vigorous social science research. Just as there are large uncertainties in the climate system, there are large uncertainties in the climate solution system, and misreporting on these uncertainties can easily mislead us. It’s fantastic that web sites like Real Climate and Climate Feedback re out there to clear some of the popular misconceptions about how the climate system functions. But if we care about actually solving the problem of climate change, then we also need to work continuously to clear the misconceptions, arising every day, about the strategies to take us there.